Mod Livin’ Presents: Hello, America! Hello, America! is Mod Livin’s premiere installation of purely American manufactured goods. 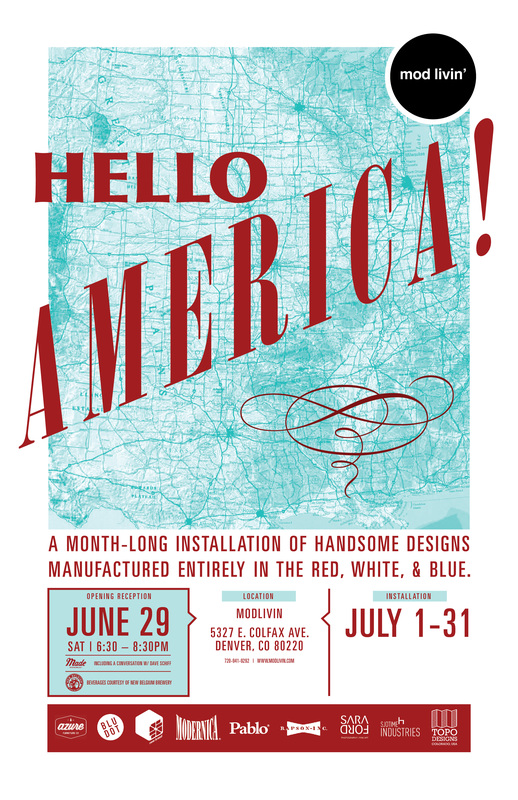 We invite you to the opening reception on Saturday, June 29th where we’ll kick off the month-long event with beverages from New Belgium Brewery and a conversation with Dave Schiff of MADE Movement discussing the importance of American manufacturing and its resurgence.